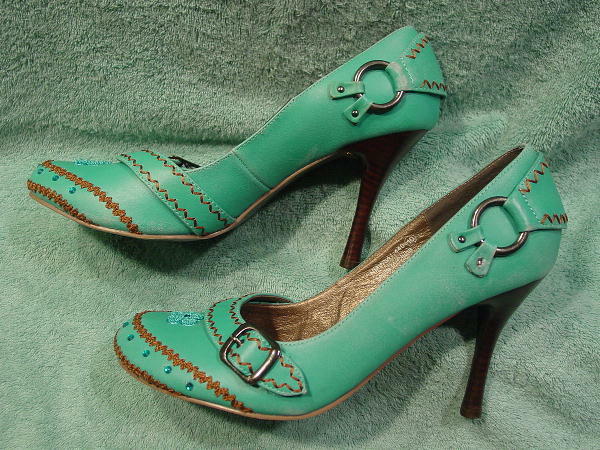 These turquoise-seafoam green combo leather and manmade upper pumps are by Naughty Monkey. They have wide rounded toes. They have multi-tone brown faux stacked high heels. The vamp has a curved strap and a buckle attached to an elastic strap. The strap has two rows of light brown stitching. The center of the toe area has elevated blue thread in a flower shape with a faux gemstone in the center. 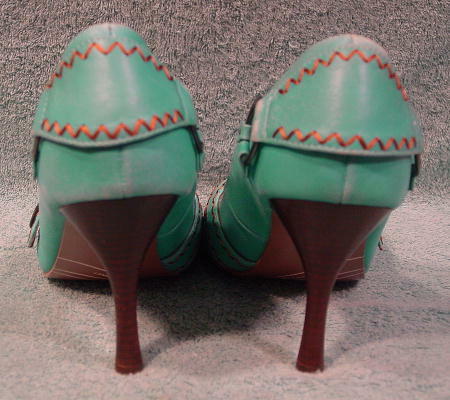 The front toe area has 8 faux gemstones edged by brown rickrack. The back sides have a metal ring with two looped straps in the front and a movable strap in the back. It also has a double row of light brown stitching. 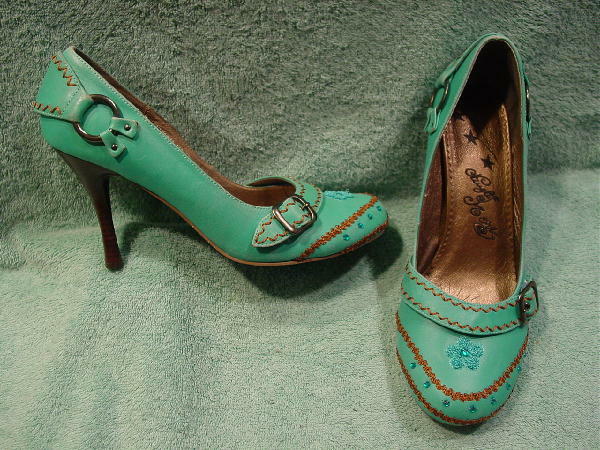 The color is missing on both shoes on the side and back straps and foot heel area. The left shoe's outer side little bottom strap holding the ring doesn't have the tiny silver ball sticking out as much as the upper strap has. They have a gold-bronze leather lining and padded insoles and manmade soles. She said she only wore them a couple of times, but she was photographed wearing them each time.